Can anyone join the server? Yes anyone can join, there is no whitelist. 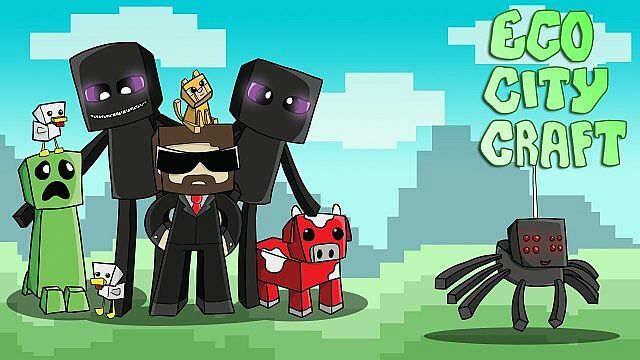 What I'd give to play again..
We have reset our Mining & Nether worlds! Love This Server SOOOOO MUCH OMG ANDREW YOU'RE AWESOME!!!! <3 Thanks for your amazing support cracker228989! I've been on this server for over 2 years now, and I'm happy to say that I love this server even more than when I started! Keep up the good work Andrew! Reset mining and nether worlds! Gotta be my favorite server out of all of Minecraft. Don't think I've met a friendlier group of mods ever. I currently have my own town on this server and it's a great server to play if you want to have a fun Minecraft life. Thanks for the comment! :) Hope your enjoying your time on ECC! I have been playing minecraft for a very long time, and I was desperate to find the server that suits me very well. I searched up, "Best Minecraft Sever", and then it showed me EcoCityCraft. I was excited because I saw the youtube videos they have made, and it was awesome. Comparing to other servers, ECC is the most friendly server out there. They help a lot of users in need, especially builders. All the moderators and above are all wise and helpful. Other servers never answered my questions, but ECC. It is so awesome to be part of the best minecraft community out there. It is an honor. Make sure guys to do this. Press add server, and type in this ip, mc.ecocitycraft.com!!! YOU WON'T REGRET IT!!! 100%guaranteed!!! In my several years playing MInecraft, drifting server to server, I have found my place. I have been playing on EcoCityCraft for just under 2 years and it has been the most fun and inviting time I have ever had on any multi-player game. With a welcoming community through chat and Teamspeak, I have met many who are now good friends. With several ranking systems and the sheer drive to live wealthy, EcoCityCraft has never stop challenging my skills with its economy. For all for a great time with great people on a well designed server, open up your minecraft and join mc.ecocitycraft.com! Thank you for the nice comments liamfrench :) Great to have you play on ECC! Awesome server! I have been playing on it for over a year! This is the best server i've ever played on! Love this server!!! YOU. HAVE.TO. JOIN. NOW. This Is A Super Awesome Server Guys!!! Join Now! Awesome server! CRAZY amount of players!!!! Always busy. I Highly recommend it. Exclusive ECC economy and end games hunger games! As well limit has now been increased to 500! As of now i'm a mayor on the server and i just have to say that this is by far my favorite server. Main map has just been expanded tremendously! Enjoy everyone! I would have to say, this is one of the better servers there are in MC. They have a fully dedicated staff, a very well managed economy and a very friendly group of users. The nods are very fair, they have a website and the ability to vote for food and money. With ranks, towns, and other worlds along with almost no lag. I will definitely give you a diamond. The only problem is it seems the economy is a more sell to server then user to user but that does make it easier for the less economically minded. Hey Andrewkm! Do you know me I'm freddymac4899's friend I'm Rhettman. Also I love this server it's so much fun!! Finnaly a server that doesn't have some op that spawns diamond blocks and sells them for ridiculous prices. this is one of the most awesome servers in the world, and definently the top economy server!!! This is a great server. It deserves to be higher then #5. On several other server lists its #3.
how do you become a pilot?! 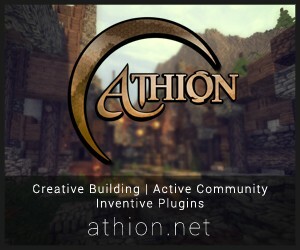 Aether is not actually the mod it is just the skylands plugin within a special world we call the Aether. so many hours of my life well spent!! Just updated this thread with tons of new information for everyone :D However looks like it was cut off a bit at the bottom, visit ecocitycraft.com/whitelist for a full thread of information, or even better visit wiki.ecocitycraft.com for our most up to date wikipedia ever ! Does this server REQUIRE the mods? Meaning that you must install the mods?